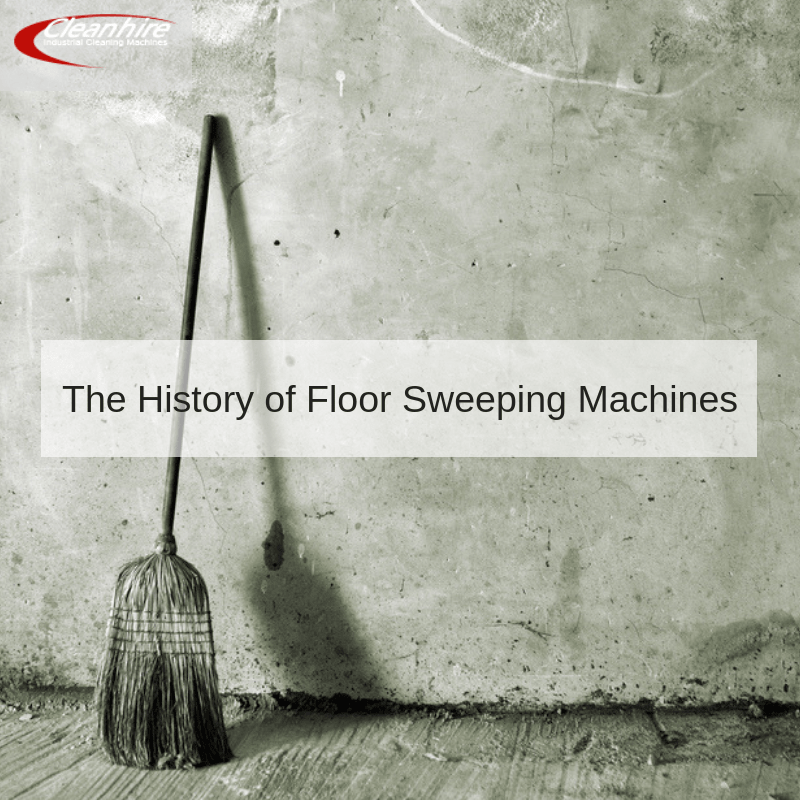 As you may have already guessed, the advent of the modern floor sweeping machine directly coincided with the introduction of electricity. It is also interesting to note that the vacuum cleaner was introduced to the general public around this same time. Both began to enjoy constant use during the first decade of the 1900s and as technology advanced, their presence was seen within many industrial and commercial workplaces. There are still a few milestones to mention if we are to fully appreciate how far this technology has come during the past century. Although the basic concept of the typical industrial floor sweeper has not changed much, the fact of the matter is that these machines functioned quite different during the first few decades. One notable observation is that their brushes were made from vegetable fibre; a material that had been used for centuries to clean floors. Carnauba wax was also widely employed due to the fact that chemical cleaning solutions were not yet prevalent. While somewhat crude in their design, these machines were considered revolutionary when they first came into the public spotlight. Designers soon realised that the weight of these machines was better centred around the scrubbing mechanism in question during the 1920s. This eventually led to the advent of the “swing” machine. However, the controls were difficult to manage and many operators likened the experience to riding a bucking bull. A good deal of training was required and it was not uncommon for the machine to unintentionally cause damage. These problems persisted until the development of variable-speed scrubbers and sweepers during the 1950s. Not only was their cleaning power increased thanks to a wider base, but users had much greater control. The ability to modify speeds also resulted in more versatility than in the past. In fact, speeds of up to 350 rotations per minute were commonplace by the 1960s. It was around this same time that manufacturers began introducing a wealth of alternative chemical cleaning solutions as replacements to traditional carnauba wax. By the arrival of the 1970s and 1980s, these units had taken on a truly modernistic feel. Of course, advancements in technology have not slowed down during the past few decades. If you would like to see some of the latest innovations on the market, please be sure to examine the numerous models offered by Clean Hire.